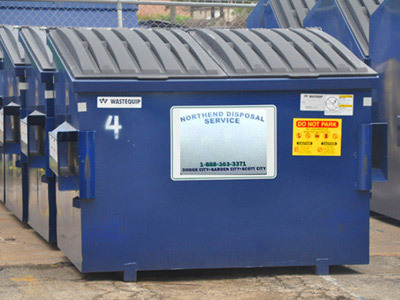 Northend Disposal Services proudly offers reliable and affordable commercial garbage collection – up to 7 days per week and as often as the customer needs. We have options to suit the trash removal demands of your business. Please contact our office to set up greater Dodge City trash service for your large or small business. Commercial trash containers are provided to you free of charge as part of your Dodge City business trash removal service.